Today I took a heavy load off my shoulders in preparation for chemotherapy. On Monday, I spent the day at the hospital getting my pathology report, genetic counseling, and seeing my surgeon and getting everything ready for chemotherapy. On Sunday, I'm scheduled to begin my first dose of Taxol and on Monday, I'll get Carboplatin. What a huge load to deal with and think about! I had an "orientation" with a chemo nurse. She told me about what to expect and worry about and one of the things was my hair. She recommended that I get a much shorter hair cut which I'd already thought about. 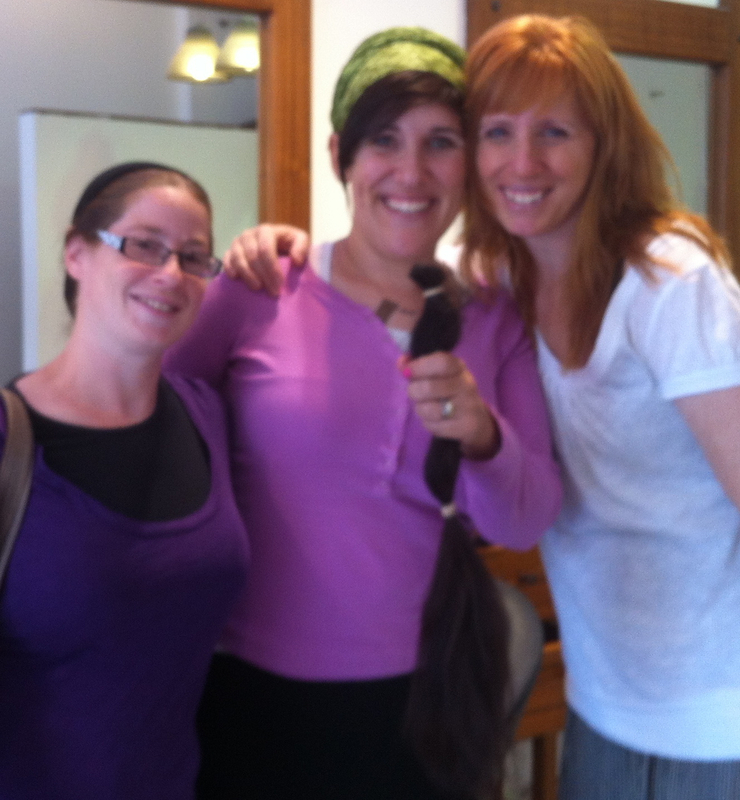 This morning, my dear friend, Lorien, took me to the holy city of Jerusalem to get my hair cut. 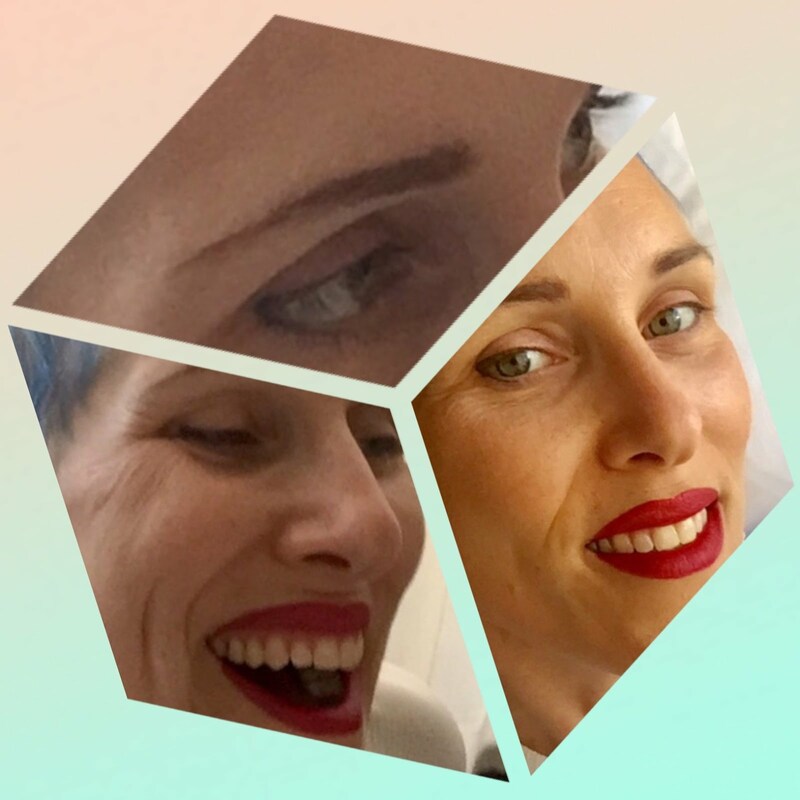 I chose the Ronen Hazan hair salon both on recommendations from my friends, Debbie and E. and the fact that they work together with Zichron Menachem. My friend, Debbie, met us at the salon. I was greeted by, Yisrael, one of the salon owners in the warmest way. He told me that he was very emotional and honored to participate in my hair cutting donation to children with cancer. 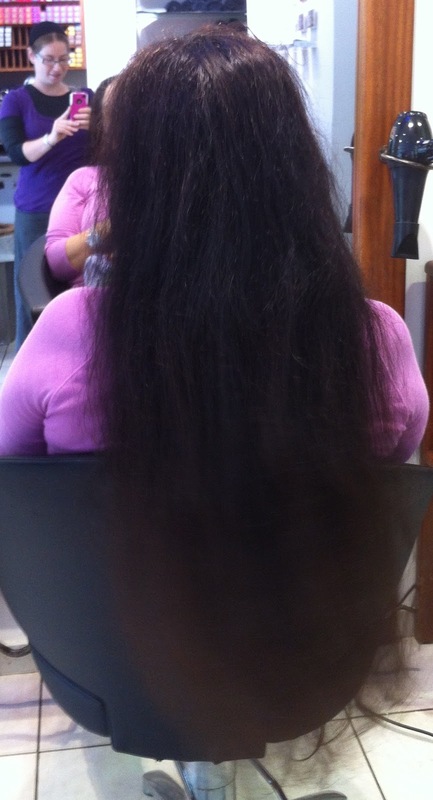 He took such time and care with my hair… I ended up with such a cool and funky hairdo! My friends and I posed for pictures and laughed and ended up having such a fun time - my hair "loss" ceremony turned into a real party. Today is a celebration. 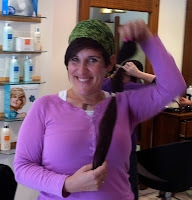 I took the heavy hair weight off of my shoulders… the weight of wonder and the unknown and dreadful feeling of my hair falling out turned into a photo op of silly poses and a fun new hairdo which I'd never dreamed of daring to try in the past! I'm gearing up. I feel ready to get on with things… let's get this chemo "thing" happening! I want it behind me. I feel like I'm ready to put my dukes up and fight. Let's go. Bring. It. On. Once random thoughts of a full time mama +5, Mama Bla Blah became a therapeutic outlet after being diagnosed with advanced Ovarian Cancer in July, 2012. Previously known as, Erika, Ahava is happily married and has a degree in Physical Therapy. Ahava is also known for her breastfeeding advocacy, is an experienced lactation counselor. 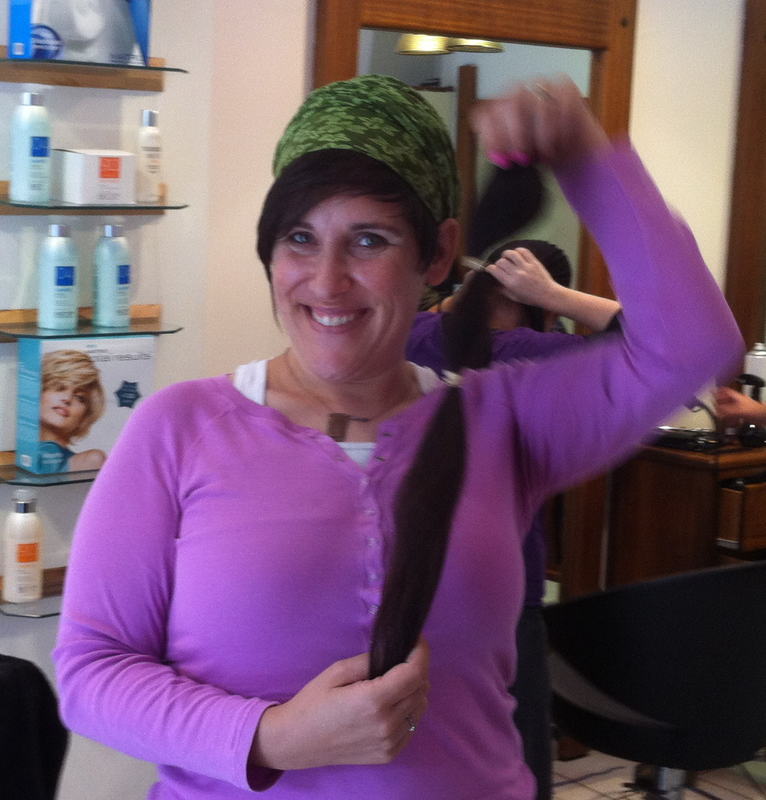 At the end of 2013, Ahava Emunah experienced her 1st relapse. 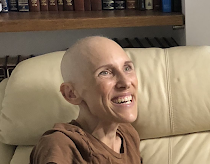 Ahava has been living with persistent recurrent metastatic ovarian cancer and has been in and out of chemotherapy for 5 years. In 2017, the cancer was deemed chemotherapy-resistant and untreatable. 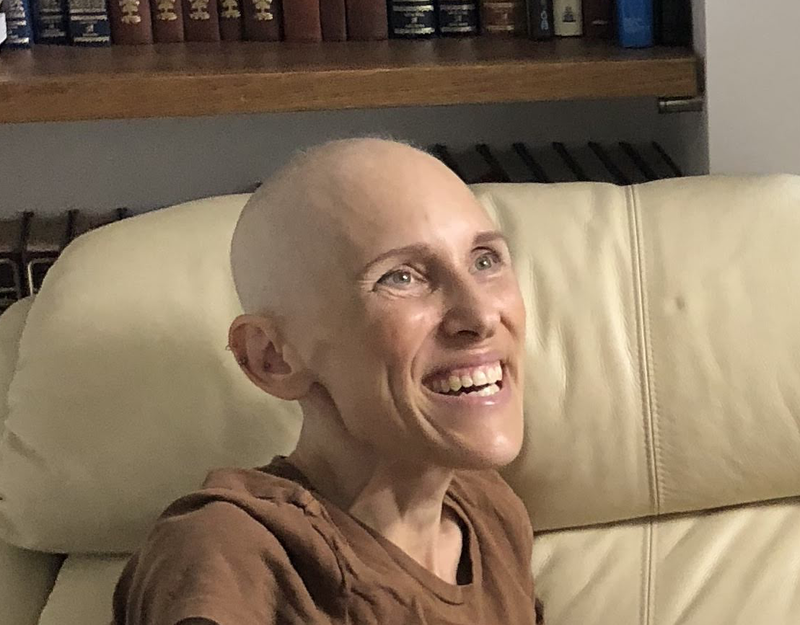 Currently, Ahava Emunah is receiving cutting-edge treatment at UC San Diego's Moores Cancer Center. © All rights reserved. You may not reproduce or communicate any of the content on this website, including downloadable files, without the permission of the copyright owner. The owner of copyrighted content on this website may receive compensation for the use of their content by educational institutions and governments, including from licensing schemes managed by the Copyright Agency. For more information, contact website owner. © 2018 All rights reserved. Watermark theme. Theme images by loops7. Powered by Blogger.